Fab, Fast and Fun Caricatures in Eastbourne. From table hopping at Weddings, Walkabout Artist at Award Ceremonies to a Event Cartoonist at a 50th birthday blast and loads more. He’ll humour your guests, and capture convincing funny faces in minutes. Real Conversation piece! Groves Caricatures (best known as Dave) is available for hire at weddings, parties and events in the Eastbourne area , Polegate, Bexhill, Hailsham, Seaford to name a few. A few venues recently attended to draw caricatures at in the Eastbourne area include The Sovereign Harbour, the Hydro the Cooden Beach Hotel in Cooden, and the Shakespeare Hall in Newhaven. 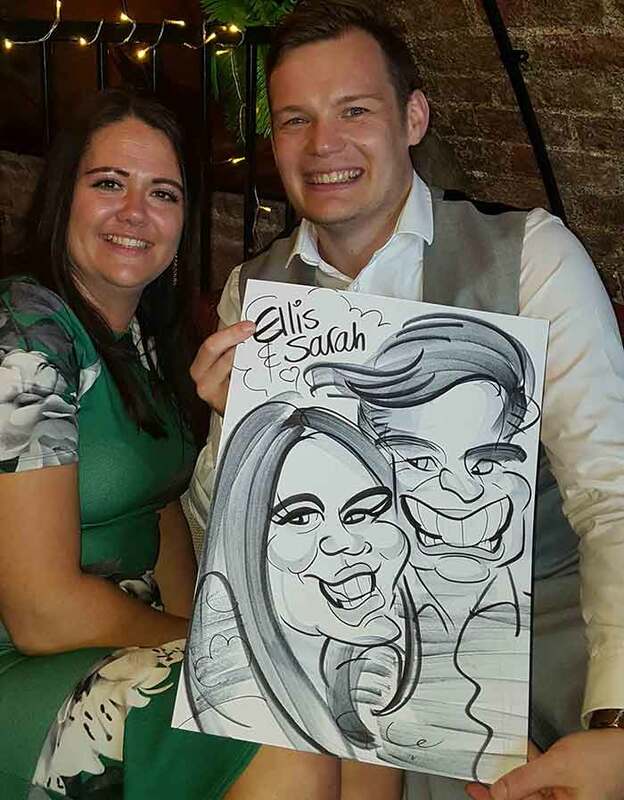 Lots of wedding caricature entertainment in the Eastbourne area in 2015-16. New venue’s visited include Eastbourne Downs Golf Club, Gildredge Manor and a big charity event called ‘caring for carers’ at The View Hotel along the grand parade. Also a cracking wedding reception at The Yew Tree Inn in Chalvington with a Marquee attached to the Pub. Its even got a campsite in the field next door, definitely worth a visit. The legendary stand-up comedian and magician Tommy Cooper had links to Eastbourne. From what I’ve read he had a weekend home in Eastbourne and he and his wife Gwen spent a lot of time there. He used to drink in a pub that my Dad managed called ‘The Squirrel’ and has told me tales where many evenings were continued after closing time in the local Chinese Restaurant with Tommy’s never ending gags, such as “Putting a tea bay in people’s top pocket and saying have a drink on me”– a classic. 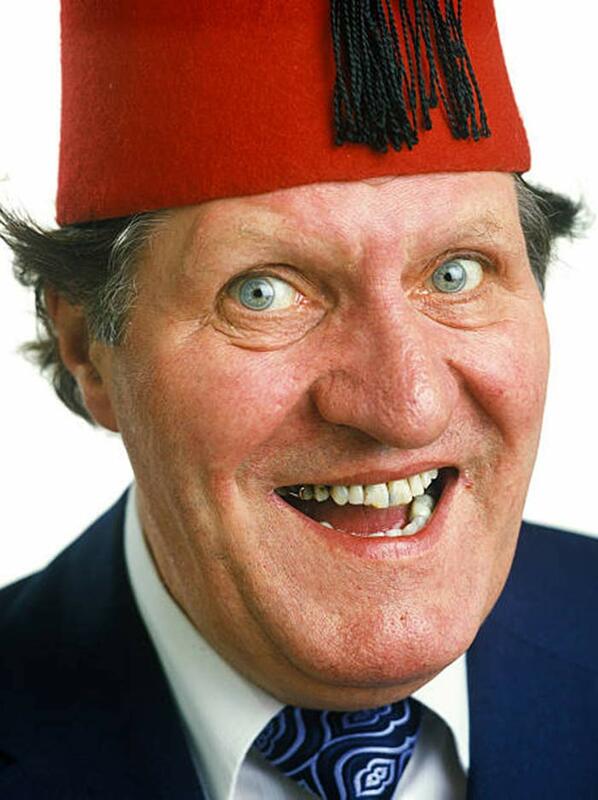 I’m quite sure there are many other Eastbourne folk who can recall stories of Tommy Cooper with laughter and affection. My dad recalls he could make people laugh without doing anything and he sometimes got annoyed saying “why you laughing”! I must mention the film made in 1967 ‘The Plank’. It is an absolute British classic comedy where two builders played by Eric Sykes and Tommy Cooper find a missing floorboard and set out to replace it. They cause chaos driving around with this plank. It’s a silent slapstick comedy on par with the Chuckle Brothers, and a jewel of those comics of that era.